An ANHINGA is an aquatic bird, recognizable because it will stand with its wings spread out from its body to dry them. 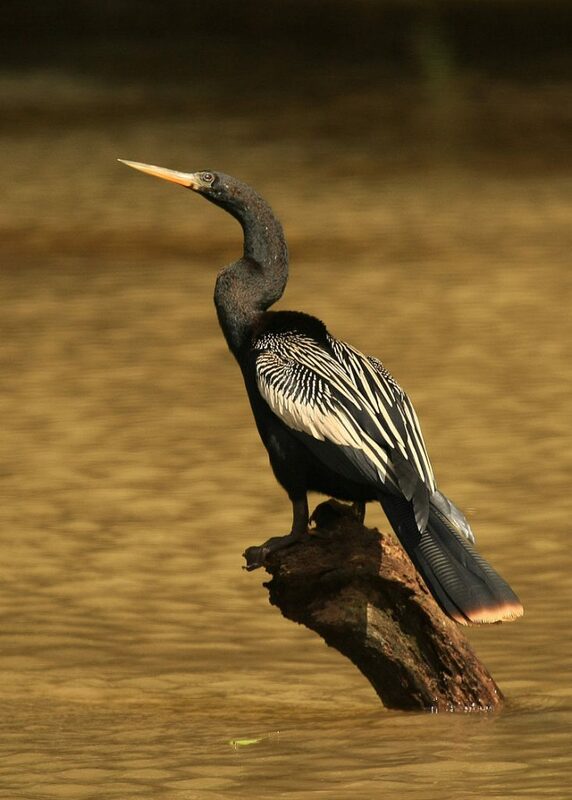 ANHINGA comes fro the Tupi language of Brazil. The ANHINGAS are water birds. When they swim their entire body is submerged except for their head. As such they are sometimes mistaken for snakes. It can also mistaken for a CORMORANT. The ANHINGA is in the DARTER family. When ANHINGAS migrate, the flock is called a KETTLE. AGHA, AGIN, ANGA, ANNA, GAIN, HANG, NAAN, NANA, and NIGH. 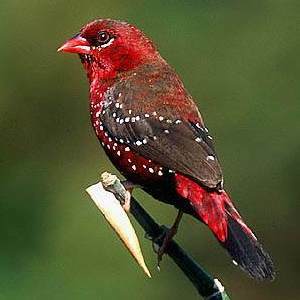 An AMADAVAT is an Asian songbird, according to the official Scrabble dictionary. It’s actually an old word – the current term for this bird is not in the dictionary, so I won’t share it here. 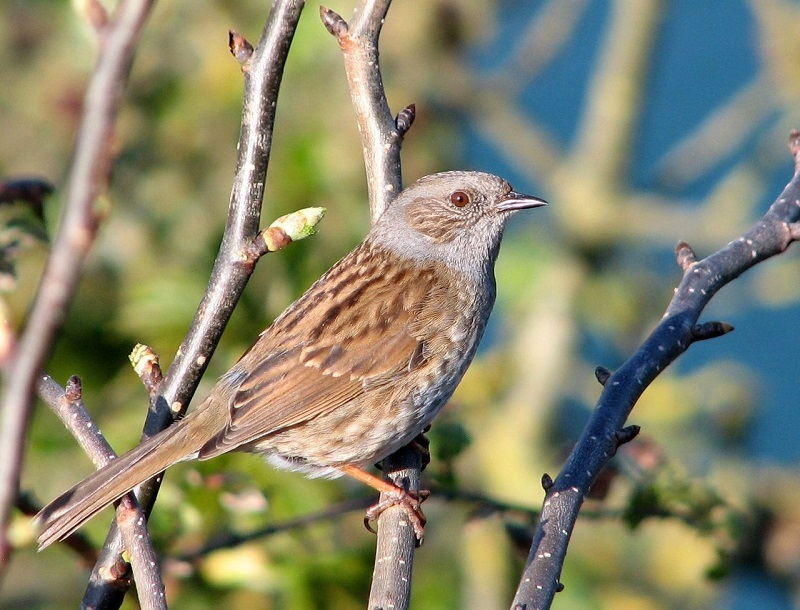 The ACCENTORS are a genus of birds that live in the mountainous areas of Europe. They are a fairly drab species – dull grey. An AASVOGEL is a picturesque term (or rather a misspelling of the Afrikaans word) for VULTURE – used in fiction books in the 1800s by such authors as Rider Haggard (The Days of My Life), John Buchan (The Island of Sheep) and Saki (The Collected Short Stories of Saki, aka Hector Hugh Munro) when telling stories taking place in South Africa. A VULTURE is a bald-headed bird of prey that scavenges on CARCASSES. CONDORS (both the Californian and the Andean varieties) are also VULTURES. 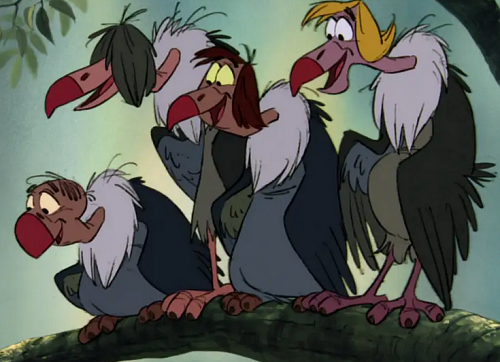 A group of VULTURES in flight is called a KETTLE, and on the ground is called a COMMITTEE. When they are eating, they are called a WAKE. There are 2 TAXA of VULTURES. Old World: 16 SPECIES divided into 9 GENERA.